News just in from OceanStyle by Burgess of the sale and delivery of a brand new 33m Ferretti Custom Line Navetta Crescendo to a direct client. 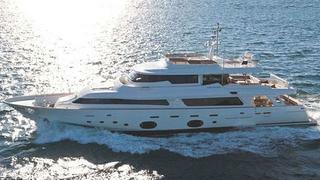 The deal was brokered by Keith Maling, senior sales broker in the Miami, Florida, office, working directly with the shipyard. All other details of the sale remain confidential.